Thursday night we did a two hour teacher's Seminar for District 2 in Diriamba Nicaragua. There was a good turnout and the teachers were enthusiastic and thankful for all that they learned. 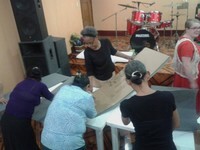 Each teacher made their own felt board and each church received free Sunday School materials. 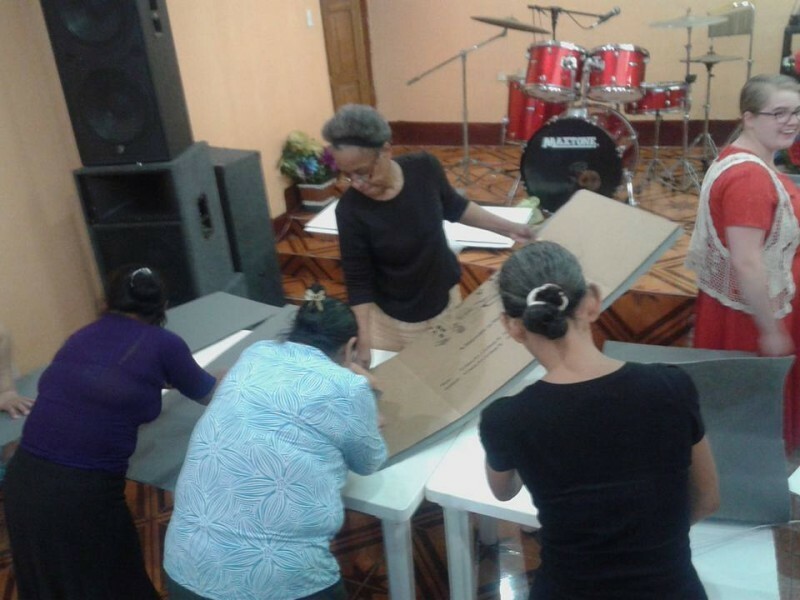 Tomorrow (Saturday) we have another teacher's Seminar for District 4 in Juigalpa which is east of Managua about half way to Nueva Guinea where we were last weekend. The seminar runs from 10-4 with a lunch break. Sunday morning is the Children’s Event from 10-12. Then we will attend church service late afternoon where Brother Long wiill preach. We head back to Managua Monday morning. The two young ladies that have been helping out for almost two weeks head home Wednesday morning. It has been a busy time.